يشكل The Wheelhouse Inn بموقعه الممتاز في نيلسون نقطة انطلاق جيدة لاستكشاف هذه المدينة النابضة بالحياة. يمكن من هنا للضيوف الاستمتاع بسهولة الوصول إلى كل ما تقدمه هذه المدينة النابضة بالحياة. بالنسبة لمن يريد الخروج، هذه بعض المعالم السياحية المتوفرة للزوار فيرتكال ليمت, Refinery Artspace, ستيوارتس افانتي. إن الخدمات الممتازة وحسن الضيافة العالي في The Wheelhouse Inn تجعل إقامتك تجربة لا تنسى. هذه بعض الخدمات الموجودة في هذا الفندق: صف السيارات. بالإضافة لهذا,تتضمن كل غرف الضيوف مجموعة واسعة من وسائل الراحة . بعض الغرف توفر حتى تلفزيون بشاشة مسطحة, اتصال لاسلكي بالإنترنت, غرف لغير المدخنين, تدفئة, مكتب لإرضاء أكثر الضيوف تطلباً. سواء كنت من محبي الرياضة أو كنت تتطلع لتفريغ عناء نهار صعب، ستجد خدمات ذات مستوى عالي بانتظارك كمثل حديقة. مهما كانت دواعي سفرك فإن The Wheelhouse Inn هو خيار ممتاز لإقامتك في نيلسون. Loved our stay, wished it could have been longer. The apartment was very well appointed, I loved the coloured make up face washers great idea :) Parking was a bit difficult as we had a large SUV. The heating could have been better, found the column heaters provided were not quite enough. Otherwise would highly recommend. We stayed in June so very cold. Could have done with better heating, and when we asked more heaters were provided so all good. The apartment was lovely with amazing views. Could have done with a dishwasher too. Overall was a great stay and we would be happy to stay again. excellent view and well appointed. Ralph is a great host and gives lots of local travel tips for the stay. 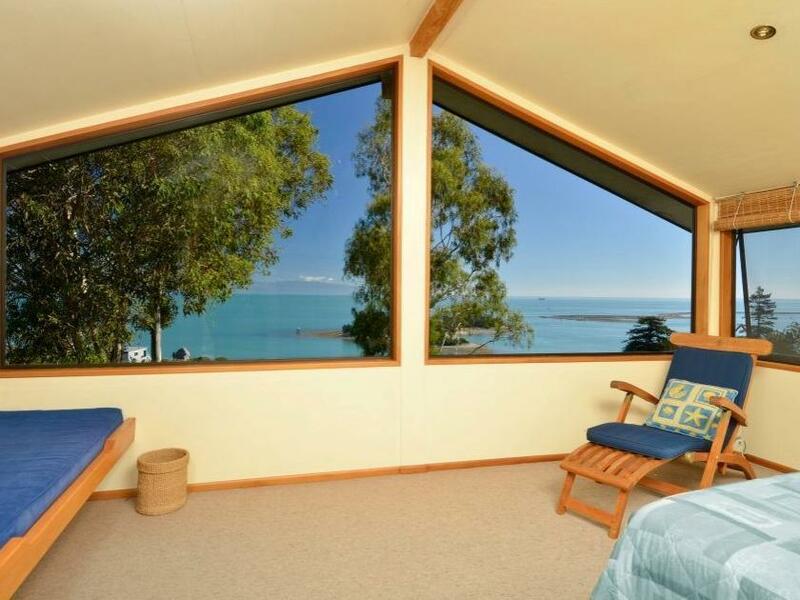 The Criw’s Nest is a unique location and a fabulous place to enjoy the views of Tasman Bay in Nelson. 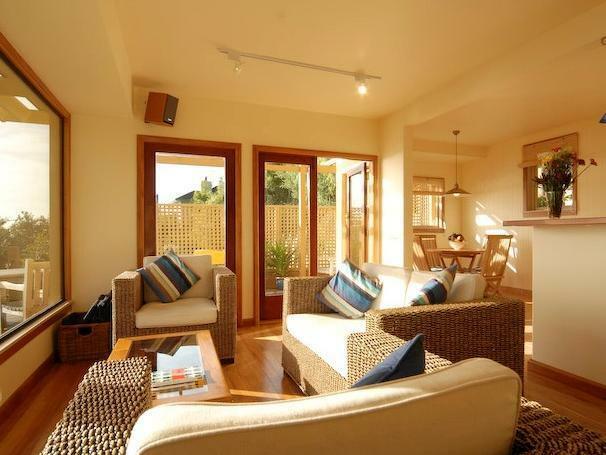 Clean and spacious with great deck overlooking the ocean for a barbeque and to enjoy a glass of wine. Spectacular! 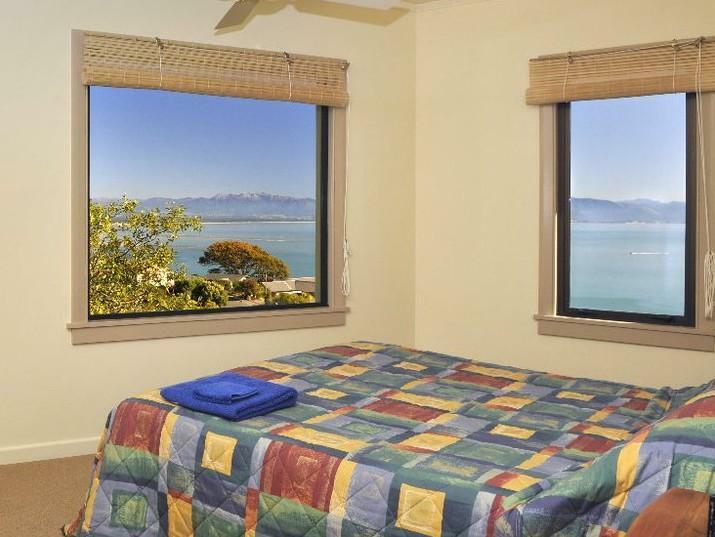 Our original plan was to go out and visit places in Nelson when we stayed in the cottage for 4 nights. Once we entered the house, we decided to slack in the house during the whole period except for going out to buy groceries and food coz the house was so lovely with great sea view. We were lucky that the weather was really good during our stay so that we could catch all the moments of sunrise and sunset. Loved our stay. We'll be back. The unit is very spacious and has beautiful sunset views overlooking the ocean. I would highly recommend to stay here. Wonderful stay with all the facilities needed. Wonderful place, very high up with splendid views. 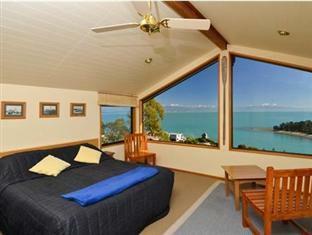 Our best stay in South Island. Would highly recommend. The unit is very spacious and has beautiful sunset views overlooking the ocean. Booked the Captains Quarters well in advance, but when we arrived we waited for over an hour and a half for staff to come to check us in. The number to call was busy and was very frustrating to find the Captains Quarters were double booked and we had to stay in the Upper Deck - which was nice, but not what we wanted. The staff member gave us a night free for the mix up which helped somewhat :) No room to put clothes in bedroom - no drawers or hanging space. Awkward to get to as is on the hill with narrow twisting roads. The bed was uncomfortable too. Would not stay again - does have brilliant views and lovely kitchen. We arrived late but the friendly owner had left the key n the door for us and a welcoming note and gift in the room. The interior was amazing with its nautical theme, but still open and airy. The huge windows and great view made it feel like a much more expensive place than it was. The kitchen had everything you would ever need to enjoy a long-stay there, whether as a solo-traveller or a small family. The property is peppered with the whimsical seagull creations that the owner has become famous around the world for. I highly recommend this Inn. This place is a traveller's dream. 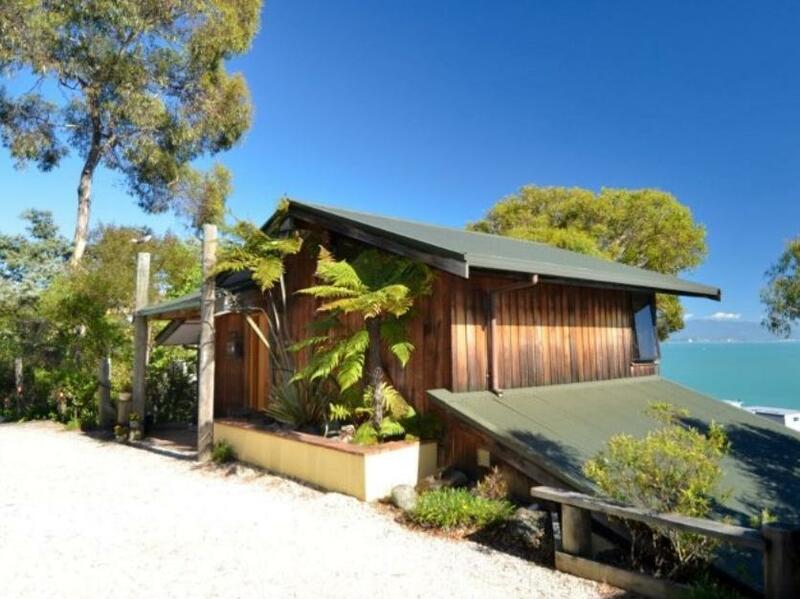 Beautifully appointed with spectacular ocean views and only 5 minutes drive to the city centre. We didn't want to leave. We actually stayed in the Captain's Quarters, not the Chart House. In fact, this hotel is comprised of several separate buildings that are self-contained apartments or little houses. They are very well appointed with all the creature comforts. 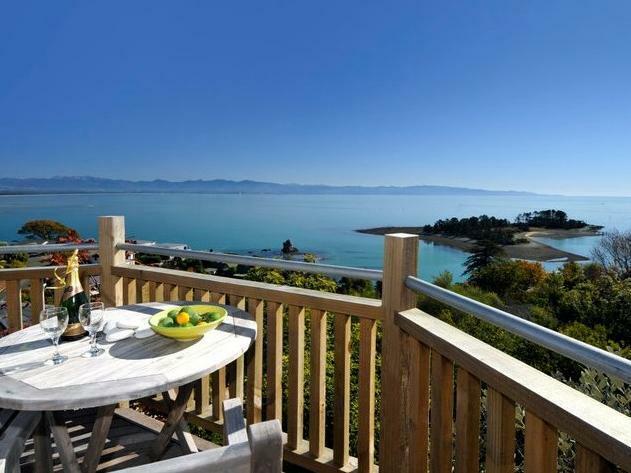 We had a deck with an amazing view over Tasman Bay. We would highly recommend a stay here: our only regret was that we couldn't stay longer. Une superbe surprise, la vue sur la baie est à couper le souffle. l'appartement est très bien équipé et le lit très confortable. Wir wären gerne noch länger geblieben. Eine voll ausgestattete Wohneinheit, mit Küche und Waschmaschine und Trockner. Kleine Terrasse und volle Fensterfronten mit Meerblick in jedem Zimmer - ein Traum, jederzeit wieder!! !